VACANT. 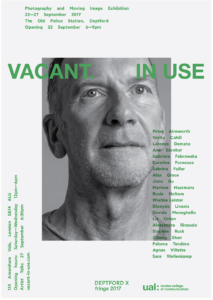 IN USE is a photographic exhibition co-ordinated by London College of Communication’s MA Photography programme. The exhibit, held in the former holding cells at The Old Police Station in Deptford, explores themes of absence. Between individual memories and echoes of the criminal justice system, the art reoccupies the empty rooms with installations, video, and sound.